Cheri is one of those soft-spoken badasses. She has quite a relaxed demeanor, but is obviously passionate about her work as a cook, food writer and advocate for those serving life sentences for nonviolent cannabis offences (check out Cheri’s activism at the Marijuana Lifer Project, or MLP, at www.marijuanaliferproject.org). Prior to her life as a cook and cannabis activist, Cheri was a circus performer, magician and variety arts performer. Cheri Sicard with her new book. 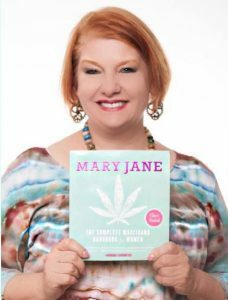 Cheri has written two books on cannabis so far: The Cannabis Gourmet Cookbook (2012), which is a cookbook; and Mary Jane: The Complete Marijuana Handbook for Women (2015), which is a general guide to cannabis. Cheri currently writes for Freedom Leaf Magazine’s monthly “Medicated Munchies” column, and has been dubbed the ”Martha Stewart of Weed” by The Daily Beast. For those of you who want to figure out how to make edibles and measure THC dosages, we cannot recommend her website – www.cannabischeri.com – enough. How much has the edibles market changed since you first started? It’s changed a lot. It’s really interesting. I’ve been in the unique position to observe these changes. When I first started – I would say almost 10 years ago now – the first time I judged one of the edibles competitions for High Times, we would get things that looked like they belonged at a church bake sale. You’d get a little cookie in a baggie or things like that, and most of them did not taste very good and the quality was definitely lacking. When I just judged for High Times last year, it had gotten very sophisticated. There are huge arrays and varieties of edibles and different dosage ranges, and vegan, and drinks, and frozen food … It’s just really exploded. How does cannabis compliment your cooking? Flavor is a challenge for a lot of people, because a lot of people don’t like the flavor of weed in their food. I deal a lot with consumers, like teaching home consumers how to cook. So while there are some really talented chefs who are making amazing dinners that are matching the terpenes in the cannabis to the terpenes in the food, this is out of the range of the average home cook. The average home cook won’t have access to the same chemicals, equipment and so on. I mean, it’s really great if you get the chance to go to one of those high-level chefs and have an amazing medicated dinner. But for the home cook, what we’re dealing with most times is how to mask the weed’s flavor or downplay it, as most people don’t like the taste of cannabis in their food. There are rare exceptions, though – I have one reader on my blog who likes the taste! As for the flavor profile, it is definitely the future of cannabis cooking. I think it will go on in this direction, and as we move towards legalization and get more access to cannabis, the average consumer will be able to play with it a little bit more. It’s an interesting thing if you’re a foodie. It’s not unlike matching food to wine flavor profiles. Cannabis is a plant that has a lot of unique terpenes, which give all plants, not just cannabis, their flavors, so there are many foods that will match naturally with cannabis. Rosemary is a herb that I find matches well with cannabis that has a lot of alpha-pinene in it, because they share that terpene. Myrcene is shared by mangoes and cannabis, depending on the strains of both plants. 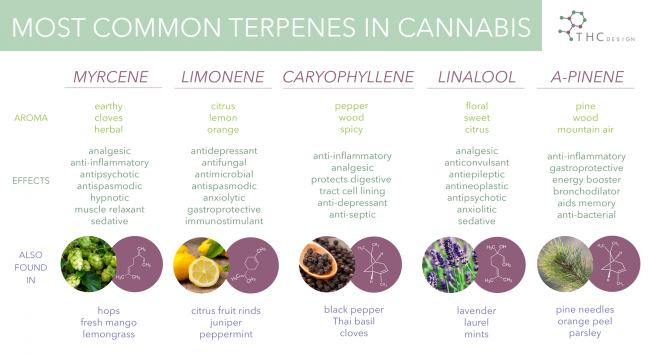 A crash course in terpenes by THC Design. It gets very sophisticated, if you want to get into that, but it’s certainly not necessary in order to be successful in cooking with marijuana. Do you pick any particular strains for particular dishes? Yeah, I do like strains that are high in alpha-pinene because they make really great New Orleans BBQ shrimp, which has a lot of rosemary, spices and garlic going on, so that’s one of my favorite combos. It mostly depends on what I can get my hands on most of the time, like most people, really. We see cannabis primarily and foremost as a medicine. Do you agree with this idea? I do agree with that statement, that “all use is medicinal”. I say this to people all the time, you know, who really want to see this distinction between medical and recreational. Cannabis doesn’t care if you have a doctor’s recommendation – it’s still going to do what it does and impart health benefits no matter why you’re using it. I think that’s a real benefit, and it’s a big misconception the general public have, which is why we need to educate people too. Cannabis is not necessarily a vice; it can enhance your health and well-being. 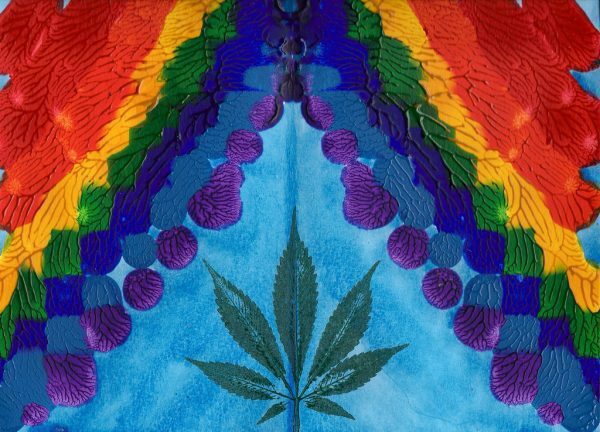 How many people do you know who are “closet” cannabis users? Ah, in my personal world, I tend to be in a ‘weed bubble’ where everybody’s really open about their use. I’m part of this industry, I’ve been an activist for a long time, so I have to keep reminding myself that a lot of my audience is not quite as open. I have to remind myself of how I was, because I came to this party late in life. I was in my late 30s when I really started using cannabis regularly, and I was one of those closeted people that didn’t know very much. But I started doing research, and I discovered that everything I’d been taught about cannabis was a lie, which really pissed me off! Then, without even realizing it, I became that person. Just because when I learnt the truth about cannabis, it’s hard to shut up! 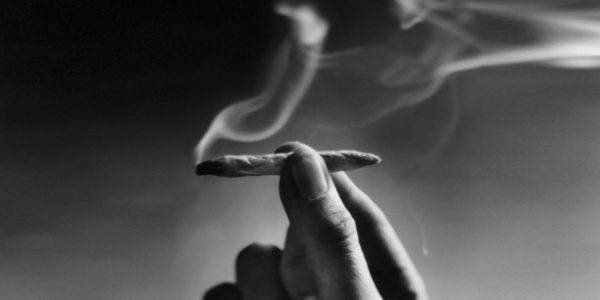 Some cannabis users stay in the closet due to stigma. What were the main difficulties when you first “came out” as a medical cannabis patient? Surprisingly very little! You know, I think it was more my own paranoia, and there’s a stigma attached; but I don’t think it hurt me in any way. With maybe one or two exceptions, everybody I knew was very positive about it and actually admired me for being brave enough to do it – to forge this kind of path and to be so open and educate others about the truth. My experiences have been really positive. We’re seeing that the fastest growing cannabis user group are those in their 40s, 50s, 60s … Some of these people are of a generation where cannabis was very much demonized. People only seem to turn to it as a last resort. What advice do you have for people who are feeling cautious or hesitant about trying cannabis? I would encourage them to get over that fear. You’re right, the over-50s crowd is the fastest-growing demographic of marijuana users, and they have the most to gain from it, not only for the debilitating diseases, but for the everyday aches and pains that we deal with as we age. Many from this generation don’t have as much fear as you might think – they experienced the 60s! The negativity we have is because of the propaganda, not because of reality. I would advise people to learn about cannabis, take it slowly, read the journals. There’s a lot more variety. If you smoked in the 60s, and now you walk into a dispensary, your mind will be blown. There are so many options. Find a dispensary that’s good, that can teach you. There are some really good ones out there that really know their products. Ones that are run by patients can really help, especially with older people getting back into cannabis. I just did a class, where we can go out and chat and visit the dispensaries, and once a month has a meeting for their senior patients just to educate them about cannabis and its various parts. If you can find a dispensary like that, that’s great! What would be your advice for people who aren’t using cannabis for the first time? How did you, for example, find your network? Are there any particular steps you’d recommend other people take? Well, I think I’m the exception, because I don’t worry about it! I got into this really quickly, and it became my life, because it really did profoundly change my life. It took me off pharmaceuticals, my career became more productive, I was able to deal with depression more effectively than I ever dealt with it before, my gastrointestinal problems started to disappear. Cannabis dramatically changed my life. As it happens, I do have an article on my blog – What to Look For: 10 Tips for Finding Great Marijuana Dispensaries – about what makes a good dispensary. Part of it is the staff and the extra programs they offer. You know, you want a dispensary where if you want to ask a question – especially if you’re a newbie – you need a member of staff that’ll take their time and answer those questions and be knowledgeable about their produce. Finding the right dispensary is important. Artwork by Jurassic Blueberries on Flickr. Especially for the older crowd, one piece of advice that I would give is “Don’t judge a book by its cover”. I had an assignment where I had to look at the two different dispensaries that were down the street from each other. The first one was staffed by this very, very respectable-looking woman who looked like she worked in a law office or something, and she knew nothing about cannabis. She didn’t care much about talking to me. The second dispensary I go into, the girl was pierced and had tattoos, dreadlocks, and a lot of people would have just written her off, but she was very knowledgeable, and she took the time and explained everything. She knew about the products, knew what they were selling and knew what their effects were. I’ve been reading about your work on the Marijuana Lifer Project. Could you tell us about some of your accomplishments? I started this because this really haunted me: I’m sure it’s going to surprise your audience to learn that there are people serving life without parole for nonviolent marijuana offences. I started advocating for Randy Lanier, who was Indy 500 Rookie of the Year 1986 and incarcerated by 1987 for marijuana conspiracy offences. I built him a website, started working with him, and from there I just started connecting to prisoners. Before I knew it, I started advocating for a bunch of these guys. That was for about 3 years on my own. Then I started the nonprofit organization Marijuana Lifer Project about a year ago. It’s very heavy, but it’s rewarding at the same time. We have had some accomplishments, especially under then-President Obama. 11 lifers have gotten out in the continent I’m working on in the four years I’ve been doing this. I can’t say that I’m personally responsible, but I want to say I helped or helped advocate for them. 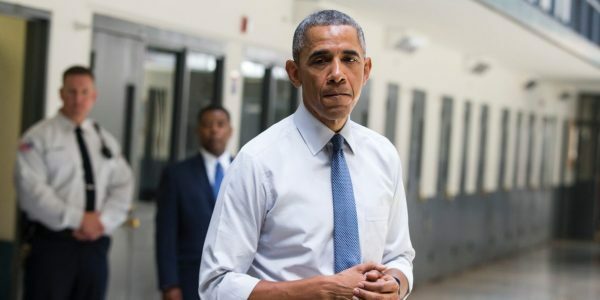 President Obama granted clemency to many prisoners during his terms. Right up until the first day of Trump’s inauguration, there were still some clemencies. Unfortunately, there are many still left. Our longest-serving prisoner was denied clemency. He’s been in prison for 37 years. He’s 81 years old. We even have wheelchair users who were self-medicating who are serving life without parole. Unless the government grants these people clemency, at least some of them will die in prison. There seems to be a lot of difference in how different departments – police or otherwise – treat non-violent marijuana crimes, sometimes even within the same state. Could you shed some light on this? There isn’t any real standard procedure for dealing with non-violent marijuana crimes. Even within the same state, different counties have their own rules. Some are more conservative, some less so. Of course, there are certainly states like Louisiana or Oklahoma, where they will go for the maximum punishment even for small amounts of cannabis. People find that hard to believe, and I feel that there’s a misconception that marijuana won’t get you sent to jail anymore. That’s absolutely not true, even in legal states. We had a medical provider in Washington last year who just got 10 years. Federally, it’s still being prosecuted; in states, it’s still being prosecuted. With this administration, the writing on the wall does not look good for us. I’ve been talking to ex-police officers, judges, doctors and many others. There seems to be a real problem with people – politicians in particular – not believing in the war on drugs personally, but refusing to say so publicly. I’ve been hearing a lot of that, too. And you know, I think that’s really silly of them, because public support is clearly on the side of legalization, especially for cannabis. I think for the politicians who are brave enough to talk about it, it’s a net positive, not a net negative. The paradigm has shifted. Where there is still some of the “old” attitude around. how does it affect the justice system and the way cases are handled? With the justice system, you have to ask, “At what level?” I’ve seen it from the low level up, but one of the problems we have is that the judges are very biased. You can see this clearly if you view it in court. I really encourage the public to do that. Just to go and visit a courthouse for a few days. You will get quite the education. It is not like Law and Order. You will be shocked at the bias that you see. We have decades of government-sponsored brainwashing on this topic that we need to overcome. It’s certainly entrenched, more so in the justice department, because they have a lot of financial gain in keeping the status quo going. What are the biggest obstacles that you’ve faced working on the MLP? The biggest obstacle is so unbelievable that people don’t believe it on first hearing. When you tell somebody that a prisoner has a life sentence, they expect a dead body. And there should be for somebody to get a life sentence. The project has helped a handful of inmates and hopes to help many more. But that’s not the case here. People don’t understand how the drug laws work. How the conspiracy laws work. These laws can put a non-violent and, in some cases, a first-time offender away for life without parole because of marijuana. But that is how our conspiracy laws work, and it’s shocking to most people. It’s kind of like the ‘dirty little secret’ of the justice department. Most people don’t know these guys exist, and it’s kind of why I started this organization. They add on extra charges? It’s not only extra charges; it’s the way conspiracy laws work. There’s a lot that people don’t understand about conspiracy. All that means is that you know of somebody or know about something that was a crime. What ‘conspiracy’ means first off is that everybody is equally responsible. There is no regard to how much or how little they actually did. So some of the lifers who are serving for non-violent marijuana offences were minor players. Somebody who repaired the trucks that hauls the trucks that hold cannabis, or somebody who watched the house where it was stored. Meanwhile, the kingpins are free. They don’t do jail time because they ratted out everyone else. These guys don’t get to trial. The other thing about conspiracies is that it takes no actual evidence. All it takes for a conviction is somebody else to say, “You did it”. And that somebody else is trying to avoid jail time themselves. … Right. And they’re often in collusion with the prosecutors, with the judges and so on. Once you’re in the system, it’s very difficult to get out. There’s no appeal, either. You have one chance to appeal within a year of your conviction, and those are almost always turned down. And then that’s it! You’re there for life. How does the war on cannabis affect families? It tears apart the entire family. Marriages are gone, fathers are gone, children grow up without parents. There are elderly parents of prisoners who depended on their lifer children for support, but don’t have that anymore. One of our cases, Craig Cesal, was a first-time offender. He was the man who repaired the trucks. He owned a business that repaired abandoned trucks. He didn’t know that these trucks were used to haul marijuana. He suspected they might have been, but he wasn’t involved and couldn’t prove anything. Craig had two children, who were in the upper part of their class when he was incarcerated. They both ended up graduating near the bottom of their class. By the time one of them was in his twenties, he died because of a drug overdose. He grew up without a father. His son was distraught. He had a nice, middle-class upbringing, his dad was a successful businessman, and then went to prison, and his life fell apart. It’s an expense and a burden on families, if the prisoner is lucky enough to have a family that sticks by them in the first place – and there a lot of prisoners who don’t. My newest project, going back to cooking… I’ve just launched an online 2 hour cooking course that teaches consumers on how to cook with cannabis at home. My website has tons of recipes and cooking how-tos. We get questions from questions from all around the world. We put it online, so it’s a comprehensive online course. I like Northern Light. My favorite strain that’s difficult to grow is Jack Herer, but Northern Lights is great. Especially if you’re a beginner grower, it’s a pretty easy strain to grow, and it’s pretty forgiving.